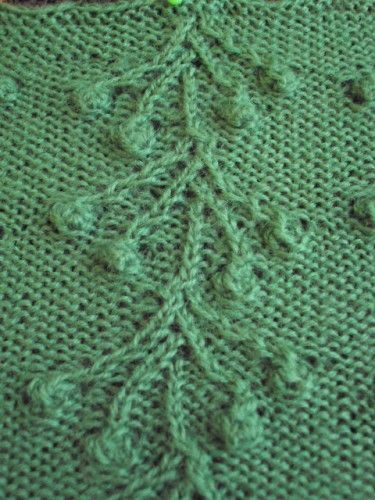 This is a really delightful stitch and I can see why it was added to the list of knitting stitches with poetic names. Here it is from the Barbara Walker site. 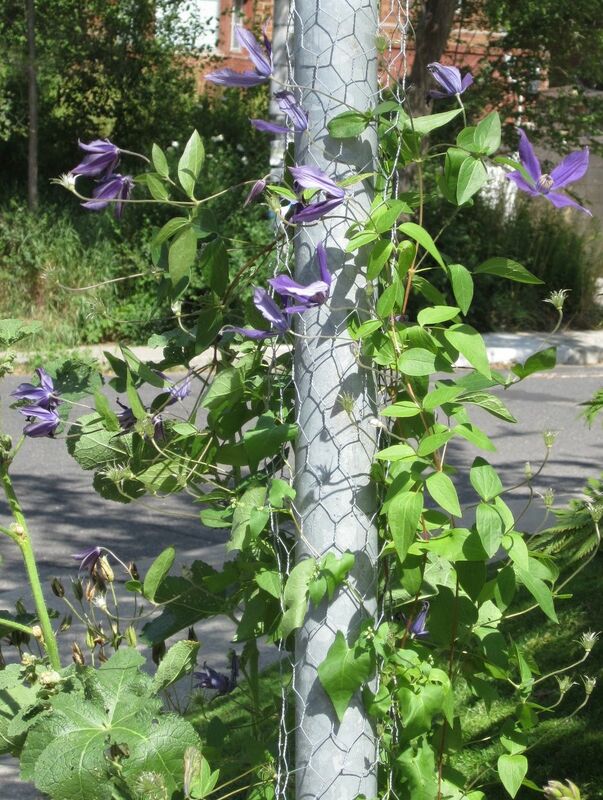 We have a lot of Hydro poles in Toronto that go a little crazy in summer because people plant climbing vines at the bottom of the poles, to make them more appealing. Here is what I mean. 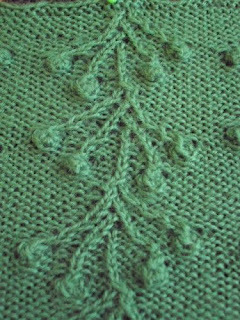 This one is covered in Ivy. In other years many were covered in Morning Glories, Trumpet Vine, Virginia Creeper, Clematis and more. However, this year I had trouble even finding the one pictured above. 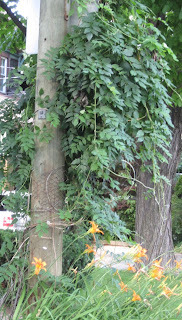 I have to believe that Toronto Hydro has discovered these lovely poles and chopped down all the growth. Their excuse might be safety, I say that they are really just Philistines!! Still a few stalworth souls, set on undermining the best intentions of the utility company have begun to cover the poles again. Here's one with wire and Clematis. It's actually not a hydro pole. It's a pole for a stop sign; but it is an attempt to cover up the grey. and here is trumpet vine - just not quite in bloom. I think that there is a lot to be said for crazy poles in May or any other month. I especially like it when someone yarn bombs a pole or two.